When a family undergoes struggles and hardships, the decision that must be made are ones that will impact the rest of everyone’s lives involved.These types of cases can be very emotionally challenging for individuals and hiring a family law attorney in Orlando to help you reach the best decision possible will be a valuable resource. Here at the Law Office of Frederic E. Waczewski, P.A., we not only have an in-depth knowledge of what is involved in these cases, but through our extensive experience have been able to educate our clients on all of the available opportunities they have and to discuss the short and long-term consequences each one may bring. Marital Settlement and prenuptial agreements: A prenuptial agreement is made before a couple enters the marriage in order to outline the ownership of their respective assets in case if the marriage were to fail in the future.A marriage settlement is a document which outlines the terms of a divorce (items such as child custody, property division, debt division, and etc. ), and the relationship each spouse will carry after the divorce is finalized.Having a Family Law Attorney by your side will prove most beneficial in ensuring both parties complete each step in the process with minimal delays. Dissolution of marriage: whether it is a traditional divorce or a simplified divorce (with no minor children involved), we are here to help you get through a difficult phase in the most amicable way possible. Child support: whether you are unmarried and are seeking legal support, or are in need of help in determining child support as part of your divorce settlement, our law office can help you navigate through these waters. Call us today or come in for a free initial consultation. 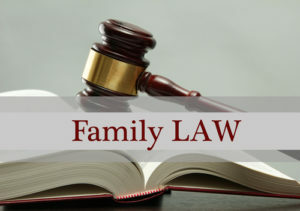 When you need an experienced Family Law Attorney, the Law Office Of Frederic, E. Waczewski, P.A. has you covered. Call us today: (407) 999-4957.